Various secondary sources such as company websites, encyclopedias, directories, and databases, such as Bloomberg, Factiva, and Polymer Database, have been used to understand and gain insights into the polyisobutylene market. 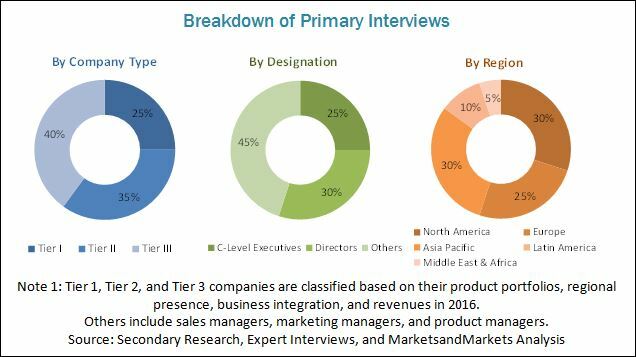 Experts from the top companies in the market have been interviewed to verify and collect critical information and assess the trends in the polyisobutylene market during the forecast period from 2017 to 2022. The top-down, bottom-up, and data triangulation approaches have been implemented to calculate the exact values of the sizes of the overall parent and individual market. The polyisobutylene market has a diversified ecosystem, which includes downstream stakeholders such as manufacturers, vendors, and end users of polyisobutylene as well as various government organizations. The value chain of polyisobutylene includes polymer manufacturers such as Lanxess AG (Germany), BASF (Germany), and Daelim (South Korea), among others. Manufacturers of polyisobutylene supply their products to various end-use industries such as transportation, food, industrial, and cosmetics, among others. This research report categorizes the polyisobutylene market based on molecular weight, product, application, end-use industry, and region. It forecasts revenue growth and analyzes trends in each of the submarkets till 2022. The polyisobutylene market is projected to grow from USD 2.16 Billion in 2017 to USD 2.78 Billion by 2022, at a CAGR of 5.2% from 2017 to 2022. Increasing use of polyisobutylene in the transportation and construction end-use industries is fueling the growth of the polyisobutylene market across the globe. Lubrizol Corporation (US), BASF (Germany), TPC Group (US), Lanxess AG (Germany), Nizhnekamskneftekhim (Russia), Reliance Industries (India), Sibur (Russia), Exxon Mobil (US), INEOS (UK), and Daelim (South Korea) are some of the leading players operating in the polyisobutylene market. 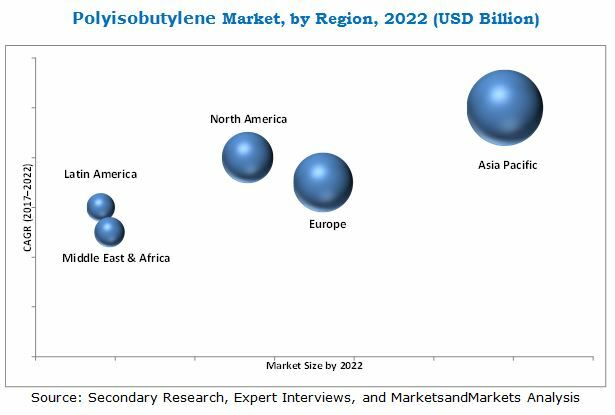 These players have been adopting various organic and inorganic growth strategies such as agreements, acquisitions, joint ventures, and expansions to enhance their market shares in the polyisobutylene market.